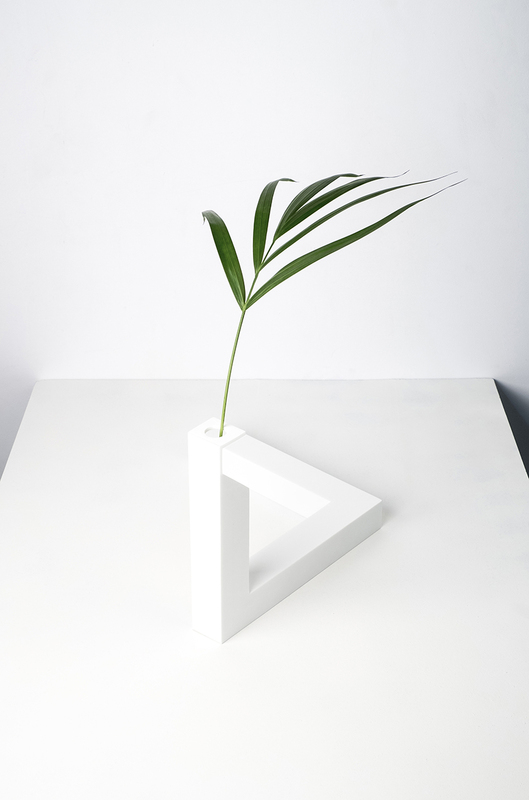 the 90º vase by cuatro cuatros is created based on a study of optical illusions and their application to the design of furniture. 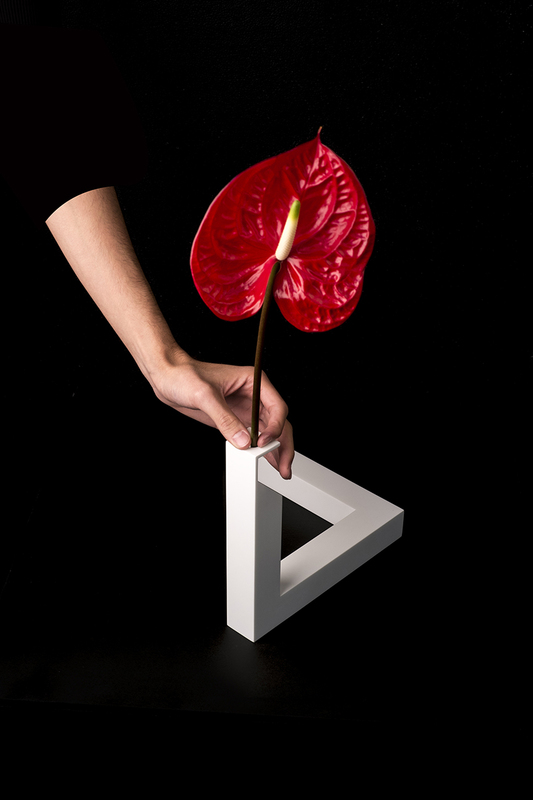 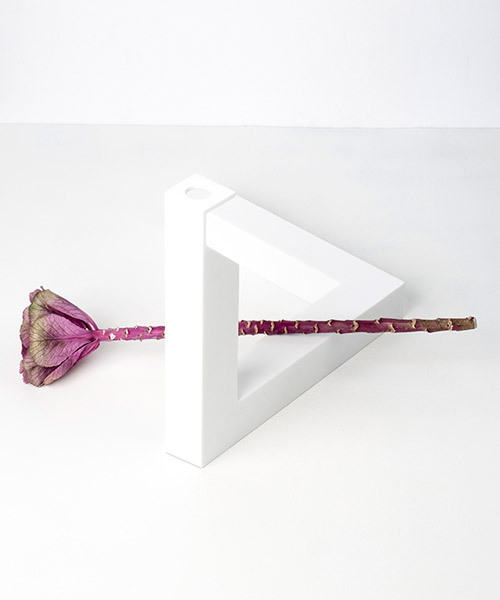 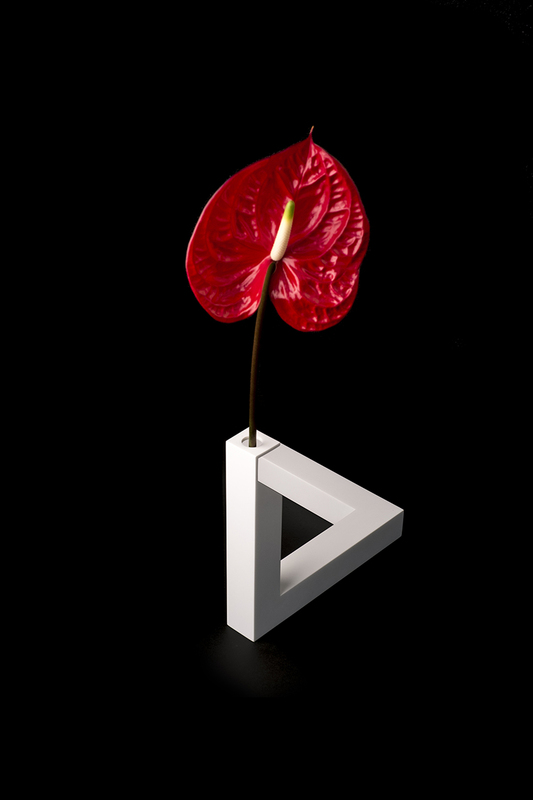 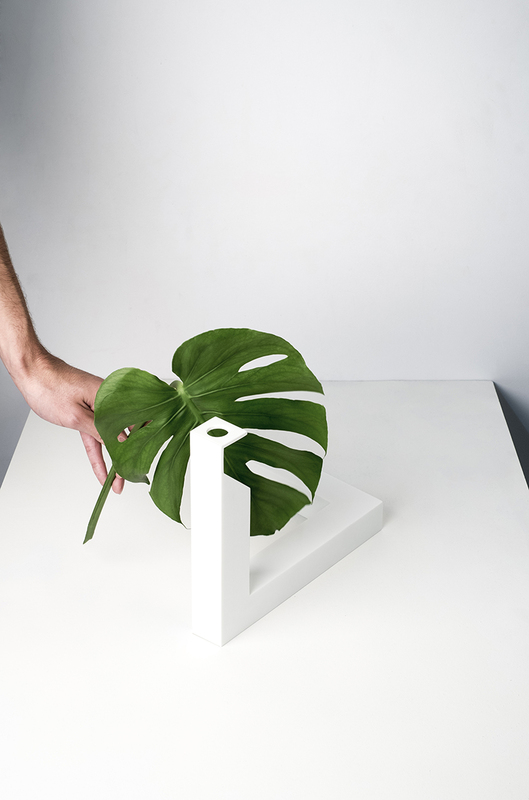 the impossible triangle vase is an object that, based on a drawing, has been converted to a geometrical shape with volume, a piece that performs its function and preserves the visual strength. 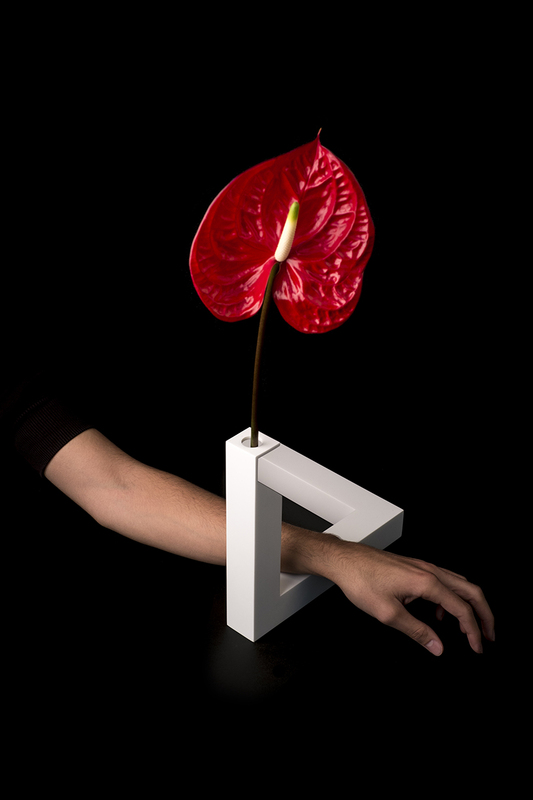 depending on the point of view, both ends of cuatro cuatros’ vase coincide and make it look like a closed figure. 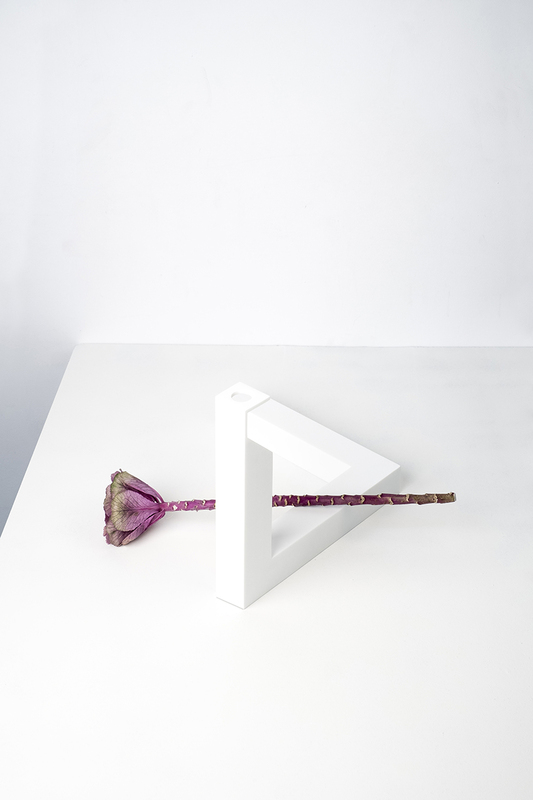 the effect appears and disappears, provoking an interaction with the viewer. 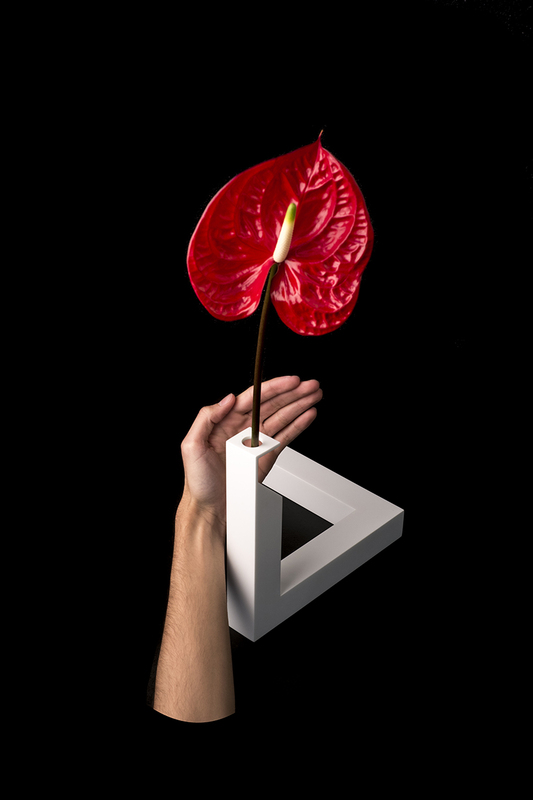 when the effect is created, our perception deceives us and makes us see unreal things. 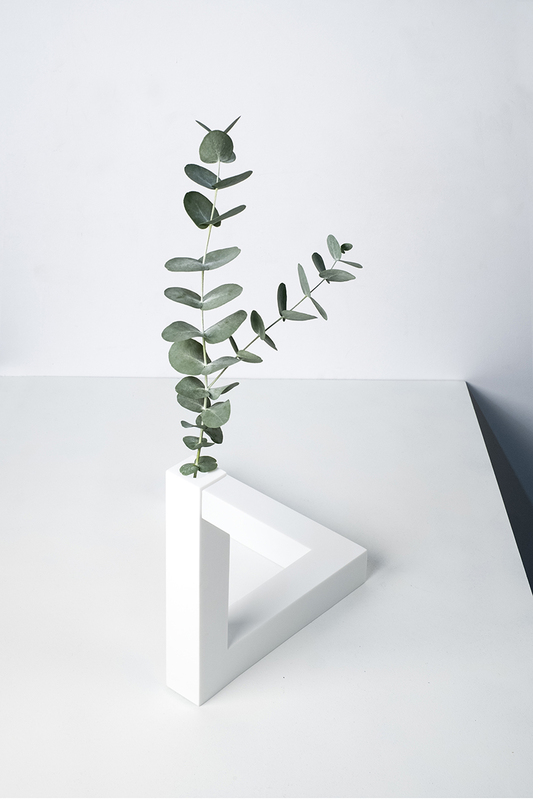 the exploration of optical illusions by the world of art emphasizes the artistic component they possess, which reinforces the experimentation of their design.